I am posting some extracts of the 'Monthly Report for the month of August 1955' prepared by Apa Pant, the Political Officer in Sikkim, Gangtok. It corresponds to the time the Dalai Lama returned to Lhasa after months spent in China and several meetings with Mao and the Chinese Communist leaders. The Dalai Lama said that "no guest could remain in the house if the host did not want him to be there", with the reference to the Chinese presence in Tibet. The Dalai Lama urged the Tibetans "to work hard to make Tibet an independent progressive, peaceful, spiritual country". All this seems very far today. During the absence of the Dalai Lama in China the people of Tibet were in a more or less bewildered state regarding the recent political and economic developments in Tibet and were unable to make up their minds as to whether they should cooperate or disassociate themselves with these changes. After the return of the Dalai Lama over 50,000 people came from all parts of Tibet with the intent of welcoming the Dalai Lama and offering prayers for his safe return but also desiring to present him with a petition expressing their reactions to the new economic administrative and political changes envisaged. After many deliberations between the monk and the lay officials and the representatives of the peoples’ party, the Mimang, it was decided to request the Dalai Lama to give some sermons in which he would indicate his own advice to the people of Tibet regarding these changes. The Dalai Lama has now given a few sermons and the general impression created in Tibet seems to be of great happiness and of even elation because of his forthright advice. Some had feared that the Dalai Lama would perhaps be won over by the Chinese and would not take any strong action. During his sermons the Dalai Lama spoke very harshly and plainly about “past mistakes” of the Tibetan people. He also spoke openly about the corruption, nepotism, idleness and the attraction of the Tibetan officials to pursuits of leisure, luxury and near enjoyments. 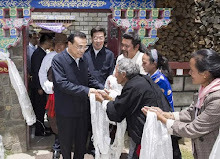 He urged in these sermons upon the people of Tibet to take united action for the advancement of the country and asked them to work hard to make Tibet “an independent progressive, peaceful, spiritual country”. It is reported that the Dalai Lama also in categorical terms stated that the Chinese have come to Tibet only to help the Tibetans and that they would “return back to their country” after the Tibetans were fully instructed in the arts of running a modern government. He said “no guest could remain in the house if the host did not want him to be there”. It seems that these references to the Chinese leaving Tibet and the references to “independence of Tibet” have satisfied the people of Tibet that the Dalai Lama stands for free and progressive Tibet. The Dalai Lama is also reported to have stated that the Tibetans should not take to Chinese dress, customs or food and that they should not leave their own way of life. It remains to be seen how the scheme of the Preparatory Committee drafted in China would now be put into effect or as to whether some new machinery would be created to bring about change and progress in Tibet. It is apparent that the Chinese are becoming more and more aware of this growing feeling for “independence and self-help” amongst the Tibetans and that they would try to accommodate themselves with this new spirit. Simultaneously with this rising tide of nationalism the Chinese are bringing in many new developments into Tibet. Development of roads, hospitals, schools in proceeding apace. The Chinese army is also participating in various schemes of agricultural and other developments. Troops in the Chumbi valley, in Tsang and other areas, have been instructed to actively help the people in their farm work and it has been reported that in Yatung a few of the army personnel are deputed to serve water to the bazaar people!! All these acts of cooperation and kindness are bound to have some effect upon the Tibetan mind. …4. Of late the number of patients taking advantage of the Indian Consulate Hospital at Lhasa is reported to be increasing. Mostly monks and Tibetan soldiers who are said to be “fanatically loyal” to the Dalai Lama seek the medical aid. Such “fanatically loyal” people who visit our Consulate General call our officials their “Dekylingka” people, i.e., “our office”. 5. 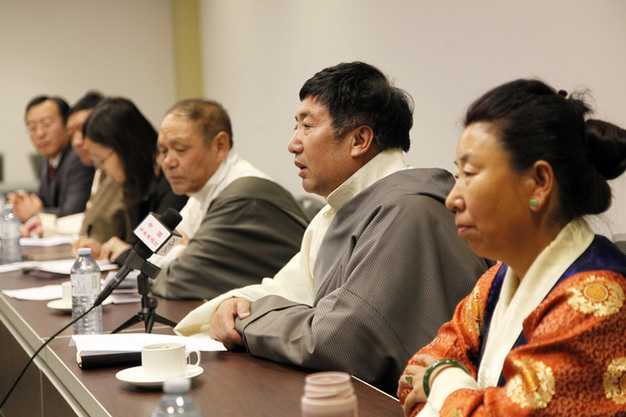 Some senior Tibetan members of the Youth League are reported to have given out after a meeting of this organisation held in the Yuthok house that Tibetan should work hard to become capable of shouldering the responsibility of the administration of their country. At the same meeting the Chinese are reported to have said that they had withdrawn Chinese personnel from Inner Mongolia as the people of that country were now capable of running their own administration in an efficient way. And that it was the policy of the Government of the Chinese People’s Republic to withdraw all Chinese personnel from Tibet after imparting the necessary training etc., to the Tibetans themselves in these fields. 6. 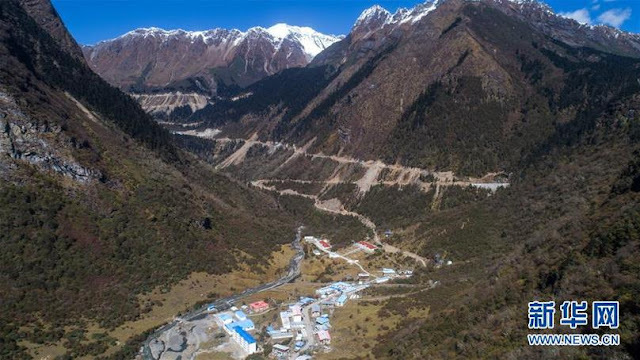 Chinese are said to be concentrating mainly on the Shugu La pass portion of the Shigatse – Lhasa road as this portion is said to be the most difficult portion of the entire project. Nearly 4,000 Chinese labour and personnel of the Peoples Liberation Army are said to be working on this portion. 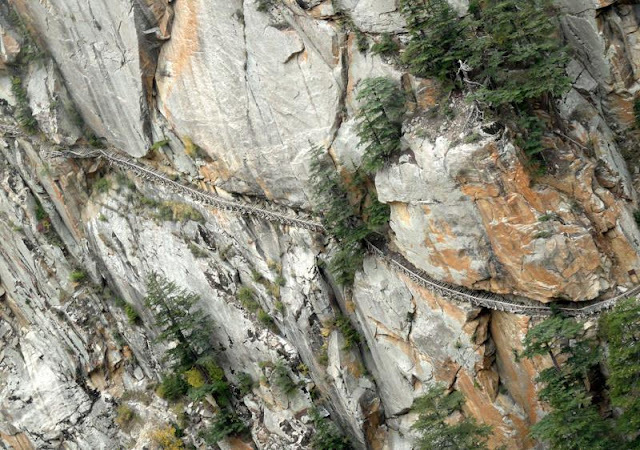 Due to the very high altitude of this pass, about 17,000 ft., a good number of Chinese are reported to have fallen ill. Although the progress is very very slow the Tibetans generally believe that once this portion is completed the remaining portion of the road would be comparatively much easier. 7. In his two day long sermon which were attended by nearly 60,000 people including monk and lay Tibetan officials, the Dalai Lama is reported to have admonished officials and monks for their lethargy and corruption. He held them responsible for bringing Tibet to the “present state of affairs”. He called on them to wake up and work in a united manner and give up all their vices. He is reported to have declared that if the Tibetan worked hard they would be able to improve their country by their own efforts. In that case the help of the Chinese people will not be necessary. 7. 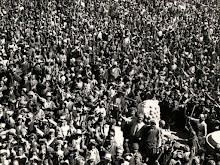 In the huge gathering which the Dalai Lama addressed on his return from Peking he asked the people to welcome the formation of “Rang Kyong Sishang”, i.e., the New Autonomous Status, saying that it would be beneficial to Tibet. The audience which had assembled there to welcome him home kept quiet perhaps signifying their disapproval to the proposed administrative changes. 8. [word missing] Lekhung (Deptt. of Improvement of Tibetan Affairs) was set up last year by the Chinese with representatives from all ranks of Tibetan officials and the three great monasteries. With the tactful support of the Tibetan Government the monasteries have now become very powerful in the Lekhung. There are even rumours that this has become more powerful than the Kashag itself and the Kashag refers to this body many a complicated problem like matters on which there is a difference of opinion between the Kashag and the Chinese and owing to the predominant influence of the monasteries the decision is generally against the Chinese. 9. About ten thousand arms of different kinds and large quantities of ammunition belonging to the Tibetan Govt., which has been lying in the Potala compound have now been removed to a strong room inside Potala in order to keep them safe from the Chinese. 10. The Dalai Lama is said to have very much liked the film on the Indian Republic Day celebrations in 1954 and our Prime Minister’s visit to China last year. These films were recently loaned out by our Consulate at the request of the Dalai Lama conveyed through his brother-in-law Kusung Depon Phuntso Tashi. 11. All the differences between the Tibetan Government and the Tashi Lhumpo administration are said to have been amicably settled while they were in China. Sewang Ngapho Shape acting on behalf of the Tibetan Government stood against the demand put forward by the Panchen Lama of an independent province of Tsang. It is reported that both Mao Tse-Tung [Zedong] and Chu-The [Marshal Zhu De] were also not in favour of Tsang becoming a separate independent province. This incident has increased the prestige of Ngapho Shape. …13. Chinese are reported to have presented the Dalai Lama with six cars built on the jeep model in Russia. These cars are garaged in Norbu Lingka. The drivers for these cars are reported to be Chinese and paid by Chinese Government. 14. 26 boys and girls from Chumbi valley and 26 from Shigatse on their way for schooling to Chengtu [Chengdu, Sichuan] in China halted for a few days in Lhasa where they were put up in houses belonging to Tibetans. These boys and girls had to do their own cooking. These children although at present still wearing their own Tibetan dresses will have to discard these after Chamdo and wear the Chinese school uniforms. It is reported that while schooling at Chengtu they would be provided with free board and lodging and 10 silver dollars as pocket money per month. …18. The general mass of people in Tibet are reported to be very skeptical about the results of the new administrative reforms. They feel that the members of the Preparatory Committee should either be nominated by the Dalai Lama or elected instead of its present proposed composition of 75% nominated by the Chinese and the rest being representatives of various religious institutions. These representatives will not be able to make their voice felt as they would always in a very small minority. 19. It is said that after the return from China most servants of Tibetan officials who had accompanied them to China have a completely different outlook. They no longer believe in utter submissiveness to their masters. The reaction of their masters (Tibetan officials) is reported to be that they just “ignore” this altitude of their servants. 21. 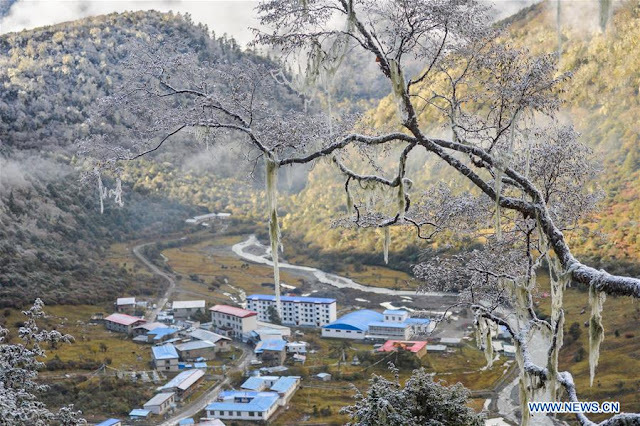 Seven packages said to be containing ammunition which were being transported from India to Bhutan were seized by the Chinese at Tinchengang, a village four miles from Yatung in the Lower Chumbi valley. There were 20 packages in all but 18 packages had been taken through earlier. The Bhutanese in charge of the loads when questioned about the contents of the packages said that they contained horse shoes. Not being satisfied with the answer the Chinese broke open one of the cases and found that they contained .12 cartridges. It is learnt that the Chinese not knowing about the effectiveness of these cartridges enquire of the village leading men whether these could kill human beings. On being told that these were generally used for killing birds etc., and not human beings the packages were allowed to pass through by the Chinese. The Bhutanese in charge of these loads however were warned that such goods were not allowed to pass through Tibet. The Bhutanese Government have told us that this was a mistake on part of one of their servants has been punished and that it will not occur again. Reuters reported yesterday that China’s Ministry of National Defence (MND) has denied that former Senior Vice-Chairman of the Central Military Commission, General Fan Changlong was being investigated on suspicion of corruption. Asked whether Fan was being probed, Senior Colonel Wu Qian, the MND spokesman would have quoted an article which appeared on January 18 in the People’s Liberation Army Daily about soldiers’ training; in it, Fan talked about the importance of military drills. Pictures of Fan, looking relaxed in civilian clothes and writing calligraphy, had appeared on Chinese social media, said Reuters. Now, the strange thing is that the comment of the spokesperson does not appear in the official transcript of the press conference. The PLA seems to be in turmoil. At the same time, generals are reentering regional politics. 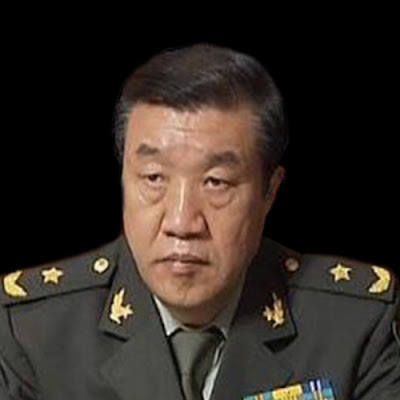 The then MND spokesman, Sr Col Yang Yujun had told the media in December 2016 that the temporary removal of military leaders from the standing committees of the provincial CPC committees was due to a major military overhaul and that once the relevant reform was completed, military leaders would return to the provincial Party leader group. Does it mean that the military reforms are completed? Later a list of commanders and political commissars of 15 provincial military districts/garrisons went around. It was said that they had joined the provincial Party Standing Committees where they serve. Though the Tibet Military District (TMD) was not officially mentioned, it appears that Lt Gen Xu Yong, the TMD commander has started to attend the meetings of the Tibetan Autonomous Region (TAR) Standing Committee. While Lt Gen Xu’s direct boss was said to have been directed involved in the confrontation with India at the trijunction between Tibet, Bhutan and Sikkim in 2017, Xu does not seem to have been affected. The paper answered that the road construction was ordered by General Zhao Zongqi, commander of the Western Theatre Command. General Zhao had earlier served in Tibet and commanded the 52 Mountain Brigade in the early 1990s. It might partly be speculation, but there is no doubt about the involvement of General Zhao, who probably had forgotten to read the agreement arrived between the Indian and Chinese diplomats in 2012 for keeping the status quo at the trijunction. It shows that China does not always speak with one voice. Zhao was born in Bin County in Heilongjiang province. 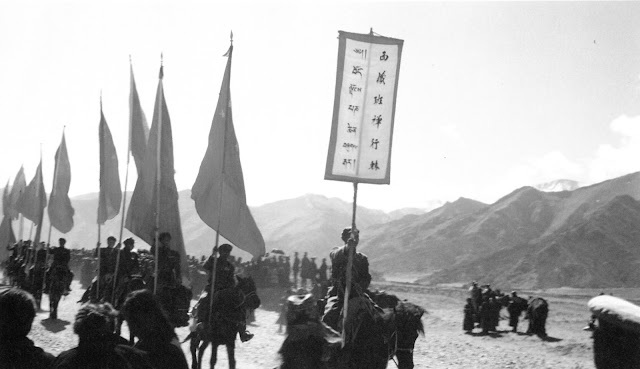 After commanding the 52 Mountain Brigade in Tibet, he was promoted deputy chief of staff of the Tibet Military District. In August 1999, he became chief of staff of the TMD, then deputy commanding officer of the Chongqing Mobilization District. In October 2004, he was named commander of the 14th Group Army. In September 2007, he was transferred to the 13th Group Army as commander. In December 2007, he was named chief of staff of the general staff of the then Jinan Military Region. 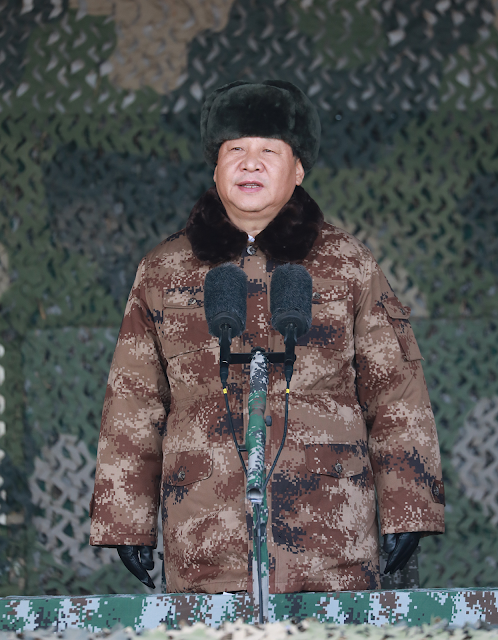 In November 2012 he became commander of the Jinan Military Region. On July 31, 2015, he was promoted to the rank of general (three stars). On February 1, 2015, he was transferred as commander of the newly created Western Theater Command looking after the Indian border. Despite the Doklam fiasco, Zhao remained a member of the Central Committee of the Communist Party of China in November 2017. His associate Lt Gen Xu Yong, who as commander of the TMD directly managed the operations at the trijunction does not seem to have been affected by the confrontation with India, however Gen Xu is not a member of the Central Committee. Interestingly, Lt Gen Wang Jianwu, the TMD political commissar, who does not attend the meetings of the TAR Standing Committee, is a member of the all-powerful Central Committee. In Party affairs, Wang is therefore senior to his Commander Xu Yong. It is certain that all has not been said and written on the TMD and the areas bordering India. One can expect many changes/surprises in 2018, especially if it is confirmed that Gen Fan Changlong is the latest ‘tiger’ to fall in the Chairman Xi’s claws. Is he running the show in Tibet? We shall slowly discover what it means for India. Let us see what will be the concrete implications of this jargon. But one can understand why in the TMD, the political commissar is senior to the commander: the Party’s ideology has to prevail. Beijing has not been able to digest the fact that New Delhi supported Bhutan during the standoff. On New Year's Eve, President Xi Jinping delivered an 11-minute televised speech to extend his greetings to all Chinese and… friends all over the world. Xi said that Beijing is dedicated to safeguarding peace. "China will act as a builder of world peace, a contributor to global development and an upholder of the international order." Will this translate in peace on the border in 2018? Probably not! Rumours are circulating that troops of the People's Liberation Army (PLA) have intruded in Gelling sector in the Siang Valley of Arunachal Pradesh. China has not fully digested the fact that India stood up for Bhutan when the PLA was trying to build a road in June near the trijunction between Sikkim and Chumbi Valley in Tibet. Quoting "experts", a PLA website admitted that China will be better prepared "next time": "the recent Doklam standoff had propelled China to perfect its strategy in its western part" said chinamil.com.cn. Zhao Xiaozhuo, a research fellow at the Academy of Military Sciences is quoted by the same newspaper: "India never takes road construction as an opportunity… and only thinks about its own interest." Was the road on Bhutanese territory really an opportunity for India? It makes no sense. During a recent press conference, the spokesperson of the China's ministry of national defence said India "should strictly control its troops". While China is getting ready for another standoff, Beijing deeply dislikes Delhi developing its side of the border. The Global Times resented the recent visit of the Indian Union home minister Rajnath Singh to Nelong Valley in Uttarakhand; Singh spent the New Year with Indo-Tibetan Border Police (ITBP). "An Indian road construction project connecting all border posts along the China-India frontier could lead to new military standoffs between China and India," warned another Chinese expert. 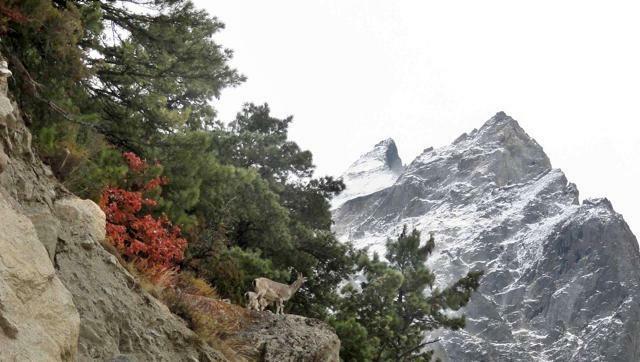 China is unhappy because Rajnath Singh asserted that "a number of border posts had already been connected with roads and many would soon be linked… this would enhance the operational efficiency of the officers and reduce mountain-related sickness among them." While Beijing is going full steam to build infrastructure on its side of the McMahon Line, it complains about Delhi building roads on India's borders; amazing double standards. Nelong Border Outpost (BoP), located at the height of 11,700 feet, is manned by the ITBP. Accompanied by ITBP director general, RK Pachnanda, the minister later visited Pulam Sumda (14,200 feet) and interacted with jawans and officers. The area is disputed by the Chinese only because Beijing refuses to adhere to the universally-accepted principle of "watershed" used for demarcating borders. In Nelang, the watershed in the area is located at Tsangchok pass, beyond Pulam Sumda. At the same time, Beijing does whatever it wants on its side of the border. 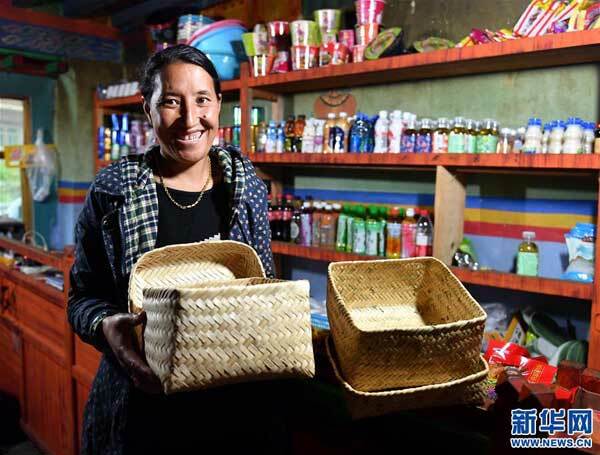 The China Daily recently reported: "Investment in infrastructure in the Tibet Autonomous Region (TAR) is helping to lift 628 villages along the border out of poverty." The Chinese newspaper further asserted: "After getting access to electricity and the construction of new roads, tea farmers and herdsmen in a village some 200 kilometres southwest of Lhasa in Tsona county founded a cooperative that provides skills training and job opportunities for villagers." Lepo, a tiny village, north of Khenzimane, the last border post on the McMahon Line is said to have received several thousands of visitors last year and adequate lodging facilities have been provided to them. China further admitted: "Starting last year, more than 100 million yuan (Rs 99.4 crore) has been invested in infrastructure in villages of less than 100 families as a part of a broader construction project to build model villages in the border area." The China Daily estimated that by 2020, the road access rate in the area will reach 100 per cent and the per capita disposable income will double. 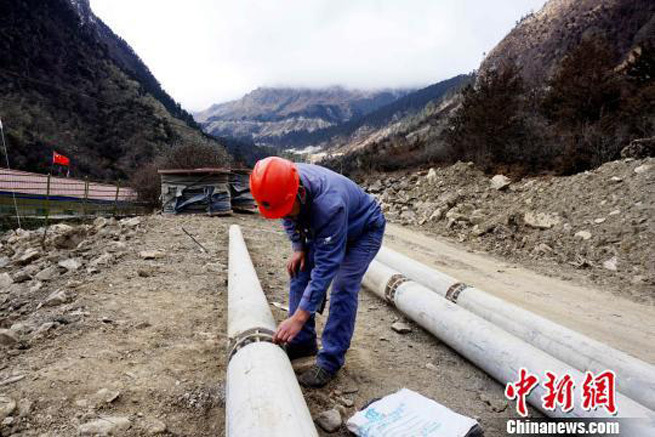 Last week, Xinhua reported that China's least populated township had been connected to the national grid. It is Yume (also spelt Yulmed), the first hamlet north of Upper Subansiri district of Arunachal Pradesh.Remember, at that time of the 19th Congress, Xi Jinping had written a letter to two young Tibetan herders who had introduced their village to the Chinese president. It was the same Yume. 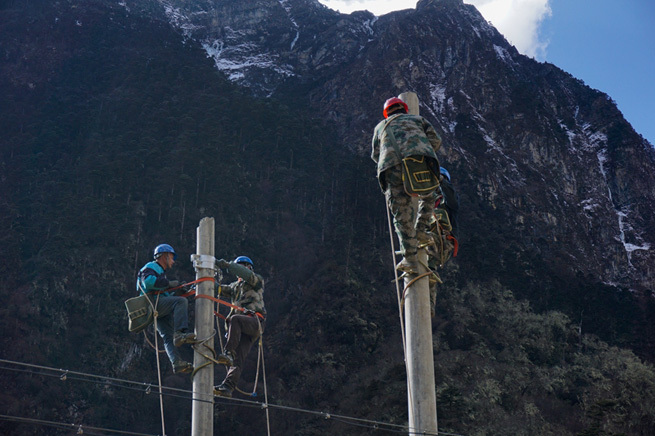 The Global Times commented: "A sparsely populated township has been connected to the state electricity grid, ending life without electricity for its 32 residents." The contractor, a Xining-based electric power company who worked on the project is quoted saying: "The 15-kilometer 10-kilovolt power line, which took five months to complete, is connected via 108 electric poles over a 5,000-meter-high mountain." There are many such examples along the Tibetan side of the McMahon Line. Year 2018 may not be serene despite the peaceful vows of President Xi. 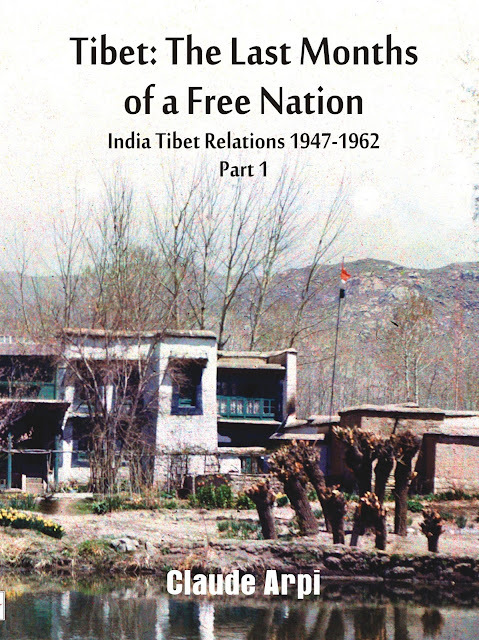 The book brings to fore how Jawaharlal Nehru deliberately kept Sardar Vallabhbhai Patel out of the discussions on Tibet. 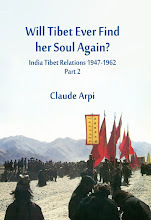 Claude Arpi's latest book, Tibet: The Last Months of a Free Nation, is an original, one-of-its-kind account of how India lost the "Roof of the World" not because of the long-held notion of the great Chinese betrayal, but because of the monumental failure of former prime minister Jawaharlal Nehru and his ideological allies to see the writing on the wall for more than a decade. It's original because it, unlike other more celebrated books, refuses to look at the events through solely the Western lens. Rather, the author took the pain of going through desi papers to create a narrative that challenges the long-held notions of the event. The book not just brings out the differences of opinion between Nehru and his deputy PM Sardar Vallabhbhai Patel, who was also the home minister, on how to deal with looming communist shadow over Lhasa. In the last weeks of Patel's life, who passed away on December 15, 1950, Nehru kept him out of the Tibetan issue, citing his deteriorating health. Nehru's differences with Patel might be a known fact, but the high point of the book is when the author exposes how several senior bureaucrats were not happy with the prime minister's handling of the Tibetan affairs, which led India to lose a peaceful northern border. Sardar Patel had written a letter to Nehru on November 7, 1950, detailing the implications of Tibet's invasion for India. The author tells us that Patel's "prophetic" letter was actually a draft sent by Sir Girija Shankar Bajpai, eminent civil servant and diplomat. A month after the entry of the Chinese forces in Tibet, Patel sent Bajpai's note under his own signature to Nehru, who chose to ignore it. Arpi also brings out the frustration of seasoned diplomats such as Bajpai, who had to face the slight of his junior, KM Panikkar, the then Indian ambassador to China. Panikkar ceaselessly defended the Chinese interests to the extent of being detrimental to India's, and being ideologically closer to Nehru he would on several occasions bypass his immediate bosses in the department, including Bajpai. The ambassador not just failed to confirm several intelligence reports suggesting initial Chinese military aggressive moves, but also defended them by writing: "In view of frustration in regard to Formosa, Tibetan move was not unlikely." No wonder, when things were moving at a rapid pace in communist China, the country was in a denial mode. 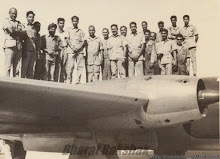 Nehru, blinded by his ideological obsession and wrong associates like Panikkar and defence minister VK Krishna Menon, even went to the extent of questioning the efficacy of a strong army. This mindset alone explains why, at the time of the Chinese aggression, India's gun factories were believed to be producing coffee. The book, at another level, is also a reminder of what's wrong with our academia. When Arpi writes, "with this compilation, one can read for the first time, Tibet's tragedy from the Indian viewpoint", it makes one wonder: Why did it take Indian scholars so long to look at such easily available documents in the Nehru Memorial Museum Library and National Archives of India? It definitely wasn't an accidental failure. Tibet: The Last Months of a Free Nation is a book that should be read by everyone who cares to know where we went wrong in our ties with China and Tibet. But given the stunning silence in the academic circles, it hardly seems to be the case. Maybe it's because we are living in the era of manufactured bestsellers. Manufactured because the bestseller list can now be rigged. One just needs to know the procedure. Remember Lani Sarem, a one-time actress, who hired a company to ensure her 2017 book, Handbook for Mortals, found a place on the New York Times bestseller list? She managed to get one, albeit for a short time. And back home, it's now an old joke in the publishing circle about a noted novelist "managing" a bestseller slot for his first book by buying thousands of its copies. Arpi's book is definitely not worth a "bestseller" slot, but it rightly deserves an intellectual buzz. Sadly, it's not the case in the country right now. 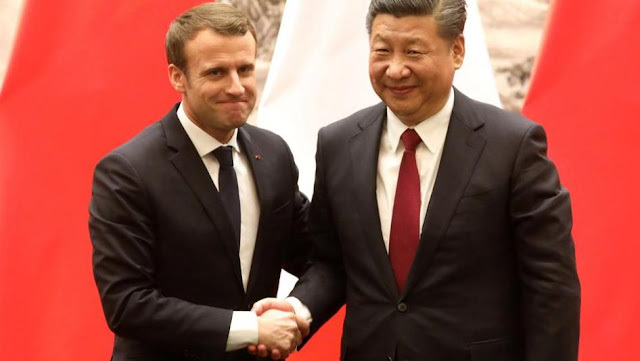 Chinese are known for their incapacity to pronounce foreign names; however Beijing tried to turn this to its advantage when the French President recently arrived on a State visit in China. In the Chinese press, Emmanuel Macron became ‘Ma Ke Long’ or the ‘Horse taming the Dragon’. This was bound to immensely please the French President who started his three-day state visit in Xian in Shaanxi province. Three main issues were on his agenda. First was the trade and economic cooperation with Beijing. France, like India, has a large trade deficit with China, which needed to be rebalanced. Paris is keen to lower imports barriers for agricultural products, such as beef and wine; further it is keen on a better access to China’s markets and on fairer investment policies for the French companies operating in China. Climate change was another issue to be discussed, though China has been a key supporter of the Paris Accord to tackle global warming. After President Trump announced that the US would withdraw from the pact, Paris and Beijing affirmed that they would form a ‘joint leadership’ to combat climate change. Finally, Macron came to Beijing as the ‘ambassador’ of Europe. With Angela Merkel still struggling to form a government and thus temporarily out as a European spokesperson, Macron has become the main figurehead for the EU. From the Chinese side, President Xi Jinping was keen to secure France’s (and Europe’s) participation in the Belt and Road Initiative (BRI). Though the ambitious initiative is to connect Europe and Asia by road, rail and sea, European nations have not so far shown much excitement for the New Silk Road. Business was however at the heart of the visit; Macron was accompanied by some 50 French CEOs keen to work with China. He spoke about "a Franco-Chinese alliance for 'the future of the world' France is changing in depth and, with it, it is Europe that is back to build a balanced cooperation with China." Beijing must have waited for his declarations on the BRI. 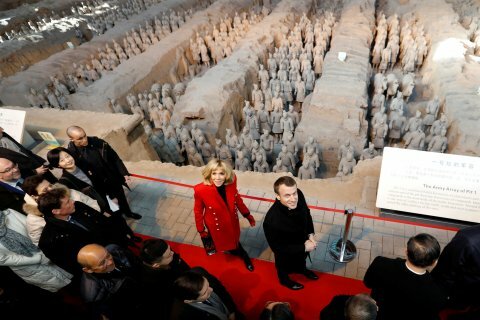 In Xian, addressing an audience of academics, students and businessmen at the Daming Palace, the royal residence of the Tang dynasty for more than 220 years, Macron affirmed that China and Europe should work together on the Initiative, but it could not be a ‘one-way’ project. He elaborated: “After all, the ancient Silk Roads were never only Chinese,” adding: "By definition, these roads can only be shared. If they are roads, they cannot be one-way. They cannot be the roads of a new hegemony that will put the countries that they traverse in a vassal state. …Multilateralism means balanced cooperation,” Macron affirmed. This may have not pleased his hosts. About the EU-Chinese relations, after acknowledging there had been mistrust and ‘legitimate questions’ about China, as well as fears among Europeans, Macron hoped for a new start, based on ‘balanced rules’. “Responsibilities of the EU have to be fully respected,” Schweisgut asserted. He was speaking of China-led 16+1 grouping, supposed to build ties with central and eastern European countries through investment and infrastructure deals. Since its launch in 2012, it has been extremely controversial within the EU, “amid concerns that Beijing is trying to create division by exerting its economic influence on smaller member states. Of the 16 European countries, 11 are members of the EU,” said the SCMP. Will the Chinese leadership take into account EU’s core interests is an issue instead of trying to divide EU? This will need to be followed. Interestingly the First Ladies, Peng Liyuan and Brigitte Macron attended the meeting. It is rather unusual. The Chinese president restated France was the first Western power to establish diplomatic relations with the People's Republic of China in 1964: “Chairman Mao Zedong and General Charles de Gaulle made a historic decision with remarkable political foresight to forge diplomatic ties in 1964. …The decision not only changed the world pattern at that time." Xi added: “In the new era, we should follow the spirit of being responsible for history.” He stressed that China wanted to build “a community with a shared future for mankind …France has similar views,” he said. According to Xinhua, Macron said that “France would like to take an active part in the Belt and Road Initiative." Guess what the French President brought for his Chinese counterpart? A horse from his elite French Republican Guard. It does not mean that The Horse has tamed the Dragon. One can however regret that the visit of the French President to India, scheduled in early December, was postponed. India with its affinities with France should have been the first country to receive the young dynamic French President. A missed opportunity? My article New era: Diplomacy with Chinese characteristics appeared in Edit Page of The Pioneer. On New Year’s Eve, President Xi Jinping delivered an 11-minute televised speech to extend his greetings to all Chinese and …friends all over the world. Xi said that Beijing is dedicated to safeguarding peace. "China will act as a builder of world peace, a contributor to global development and an upholder of the international order." “Building a community with a shared future for mankind, an important concept of China's diplomacy in the new era, calls for win-win cooperation and turning planet Earth into a harmonious family,” he asserted. This sounds good, but the ‘Chinese family’ itself is not too harmonious. The increasing repression in Tibet and Xinjiang are reminders of the sad fate of the ‘minorities’ in China. Will the New Year bring improvements? Some movements appeared at the end of the year. In November, the Dalai Lama appointed Prof Samdhong Rinpoche, the former Prime Minister of the Central Tibetan Administration (CTA) and Sikyong Lobsang Sangay (the present head of CTA) as his ‘personal emissary’; later in the month, the Rinpoche secretly visited China. He landed in Yunnan province (where he is born) and then proceeded to Wutaishan, a sacred Buddhist site in Shanxi Province. 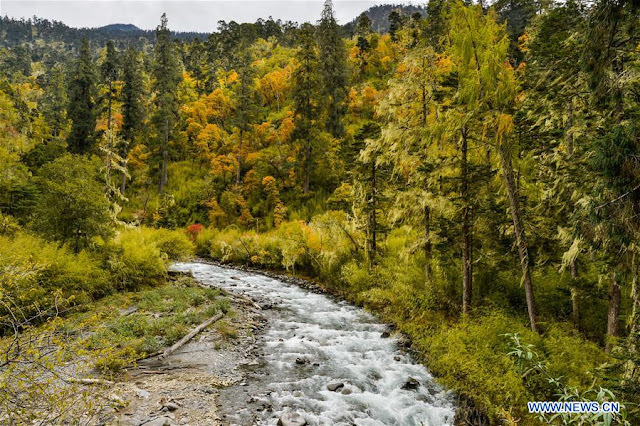 Mount Wutai is linked with Manjushri and is one of China's most important Buddhist pilgrimages. For years, it has been the Dalai Lama’s dream to one day visit Wutaishan. It is rumoured that Samdhong had talks with officials of the United Front Work Department who deal with Tibet, for an eventual visit of the Tibetan leader to China (not to Tibet) in 2018. Is it part of China's ‘diplomacy in the new era’, dear to President Xi? We should get an answer in 2018. In the meantime, China’s propaganda is going on full steam about Tibet and …Buddhism. Beijing has been extremely active to ‘sell’ its version of the present situation on the Roof of the World. On December 19, Xinhua reported that a collection of thangkas, or traditional Tibetan Buddhist scroll paintings, had been put on display for the first time in Israel. The news agency quoted one Kalsang Chi, manager of a Tibetan culture company in Gannan Tibetan Autonomous Prefecture, Gansu Province (China has attached several parts of Tibet to neighbouring Chinese provinces). Kalsang told the Israeli media: “About 100 thangkas are displayed, in the city of Haifa, for three days to show the essence and style of Tibetan thangkas and culture. …It allows the Israeli public to appreciate the unique Chinese art form at close range." Then, a cultural delegation of scholars in Tibetology as well as ‘Living Buddhas’ visited Sri Lanka from December 14 to 16. 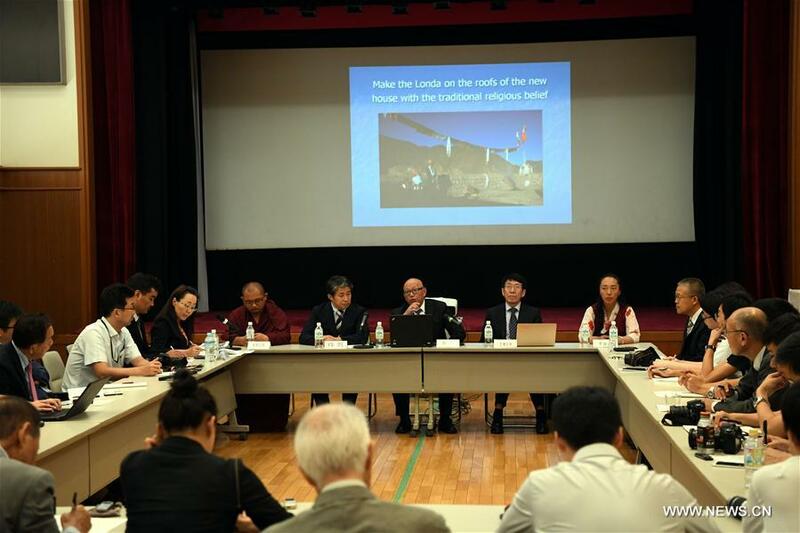 They accompanied a photo exhibition on Tibetan culture and held a seminar on Buddhism. According to Chinese sources, it was attended by officials from Sri Lanka’s Buddhism Affairs Department, Sino-Sri Lanka Buddhism Friendship Association and more than 200 local teachers and students. Zhang Yun, head of the delegation and director of the Institute of History, China Tibetology Research Center, a Chinese himself, stated that China and Sri Lanka have long attached great importance to religious exchanges [sic]. One of the characteristics of the Chinese foreign policy is that soft and hard diplomacy must go hand-in-hand. While in the Island, the delegation met local Buddhist monks. “The two sides expected more religious and cultural exchanges,” a communiqué said. The delegation then headed for Myanmar, another strategic country for China. 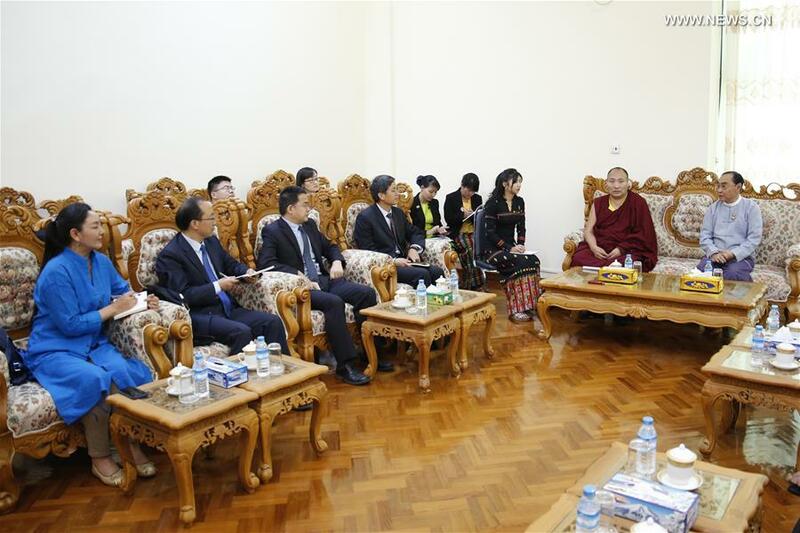 The ‘Chinese’ Tibetans met with some Myanmar ministers and briefed them about China's policy on ethnic groups as well as the preservation of religion and culture in the Tibet Autonomous Region (TAR). Myanmar Minister of Ethnic Affairs Nai Thet Lwin told the Chinese visitors about Myanmar's policy related to protection of its ethnic groups' rights and interests; of course, not a word about the Rohingyas. The Chinese delegation proceeded to Yangon for a ‘China Tibetan Culture Picture Exhibition’ at the Shwedagon Pagoda. It is what President Xi calls diplomacy …with Chinese characteristics in the new era. Are these delegations able to convince their interlocutors? It might not be too difficult as most of the officials hosting the delegations belong to ‘friendship’ groups. The same pattern is used elsewhere, in Australia for example, where China has scores of sympathetic ears. Again according to Chinese media, at a press conference held in Ottawa, the delegation answered questions about Tibet's poverty alleviation efforts, protection and development of traditional cultures and ecological protection of the plateau; all is fine on the Roof of the World! Already in August, a Chinese Tibetan delegation of China's State Council Information Office paid a two-day visit to Sydney in Australia and later went to New Zealand. 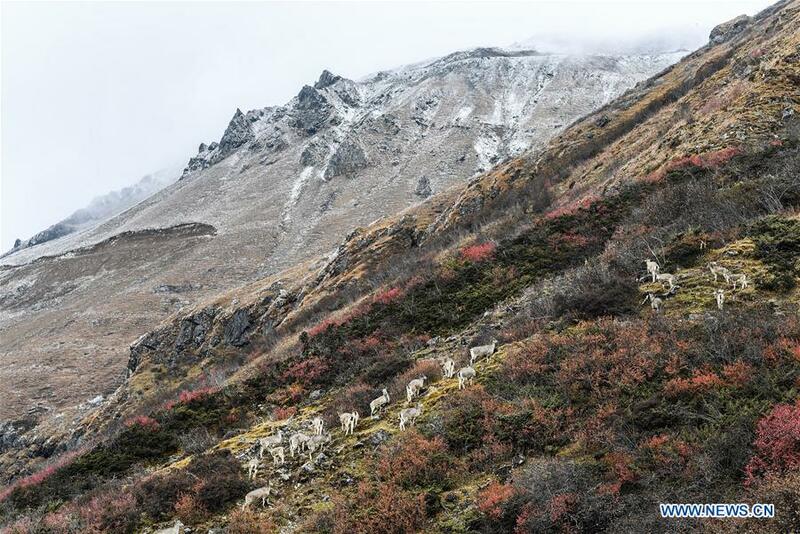 Xinhua said that it helped to erase foreign misconceptions toward the region and showcase a true Tibet to the world. No need to mention Nepal, which appears to become more and more of a Chinese colony. Also in August, an exhibition on Tibetan Embroidery Arts and Crafts “showcased dozens of magnificent art works created by the Chinese artists,” reported Beijing. In 2018, Buddhist diplomacy with Chinese characteristics will continue to be the main weapon to out-stage India, the birth place of Buddhism. In 1949, a few months after the new People's Republic of China was proclaimed, Mao moved to ‘liberate’ large areas at the periphery of the Middle Kingdom. While the remnants of the Nationalist forces were slowly and systematically annihilated in the Mainland; Mao annexed Xinjiang using two tactics: a large number of troops were sent in the New Dominion and the surrender of some Nationalist leaders was induced. 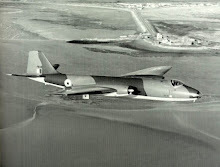 It was relatively easy for the Great Helmsman who had got the assurance from the Soviets that they would not interfere. 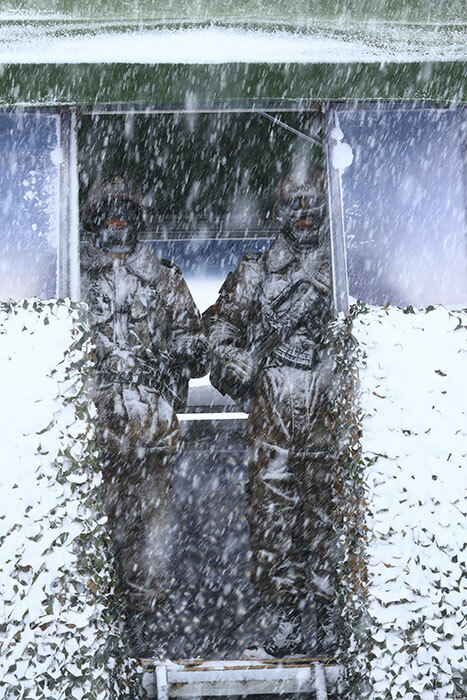 The PLA had however to cross deserts, walk over high snow-capped mountains and suffer starvation to realize this unbelievable military feat, walking some 3,000 kms in six months, to complete their mission. Strategically, Communist China was at the Gate of Tibet …and of India; a couple of years later, the construction of a road across the Indian territory in the Aksai Chin area would start. The local government officials assured the people that "the Chinese in the administrative structure were there simply to teach the natives of Sinkiang the art of governing, and that soon the full Governmental administrative responsibility would be turned over to the people of Sinkiang." It is ironic that nearly seventy years later, Han are still struggling to manage the restive province and still use systematic violence. Retrospectively today, one understands the importance for China of the annexation of Xinjiang with its natural resources such as oil, but also for trade routes which are now revived under schemes such as One Belt One Road initiative or the China Pakistan Economic Corridor. But Xinjiang remains far from being ‘liberated’; on the contrary, the Chinese State is slowly transforming the restive province into a nursery for terrorism. As the vicious circle continues, Debka, the Israeli Weekly reported that according intelligence sources: “2,500 Chinese elite troops are on the way to Syria to fight Chinese Uighur Islamist extremists and their Turkish-backed plan to set up an autonomous enclave in the rebel-held Idlib province of northern Syria.” Will it help? Debka’s sources affirmed that China has secured permission from Damascus to send Chinese troops from two elite units: the ‘Siberian Tigers’, a PLA Navy Special Force from northeast China's Shenyang Military Region and the ‘Night Tigers’, a Special Forces Unit from Lanzhou. Already two years ago, a new Chinese Counterterrorism Law made it legal for China's PLA to get involved in anti-terror operations abroad. 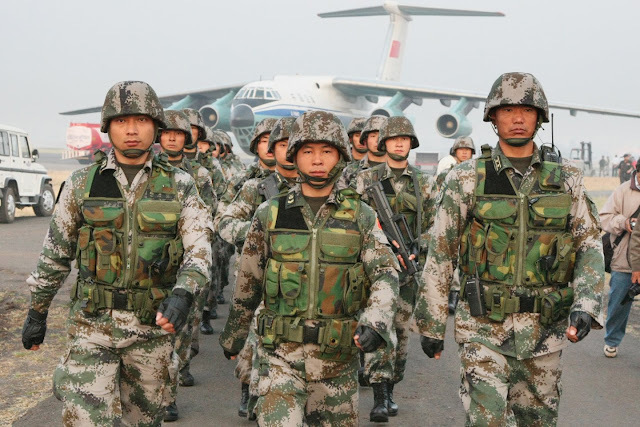 The legislation allows the PLA and Armed Police’s forces to carry out counter-terror missions overseas with the approval of the Central Military Commission. 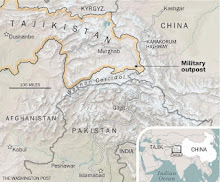 Having borders with eight nations: Mongolia, Russia, Kazakhstan, Kyrgyzstan, Tajikistan, Afghanistan, Pakistan and India, Xinjiang is a convenient conduit for terrorist movements towards the Middle East and the world in general. In the meantime, repression is every day increasing in Xinjiang. Radio Free Asia (RFA) recently reported that the authorities have earmarked a substantial amount of cash to reward the residents of Hotan prefecture (north of India’s Aksai Chin) who report ‘acts of terrorism’: “The Counter-Terrorism Reward Resolution, enacted by the government of Hotan Prefecture, set aside 100 million yuan (US $15.2 million) for information on suspicious activities, and for individuals who attack or kill terrorists,” the official Hotan Daily newspaper said in a post on its WeChat social media account. Most of this happened after the appointment of Chen Quanguo as Communist Party Chief in August 2016: “a series of harsh policies have been initiated targeting Uygurs in the region, where members of the mostly Muslim ethnic group complain of religious and cultural repression and harassment under Chinese rule,” says RFA. Since then, Chen, who had earlier practiced his ‘recipe’ in Tibet for five years, has been rewarded with a seat on the Politburo. Thousands of Uygurs, who have been accused of harboring ‘extremist and politically incorrect’ views, have been detained in re-education camps and prisons throughout Xinjiang since April. Earlier this year, Human Rights Watch (HRW) released a ‘glossary’ of special slogans or ‘formulations’ (tifa) used by the Chinese officials in Tibet when referring to party policies. The same apply today to Xinjiang. The implementation of these tifas, is often dreadful... but efficient for Beijing. 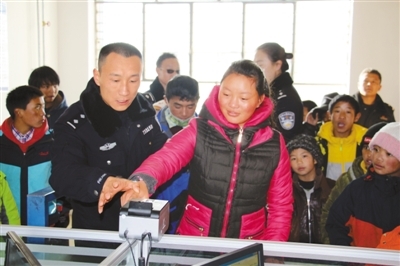 Beijing has for example decided to collect DNA samples from all Xinjiang’s residents; the name Mohamed is banned for newborns, men can’t have beards, etc. China is definitely breeding more terrorists. 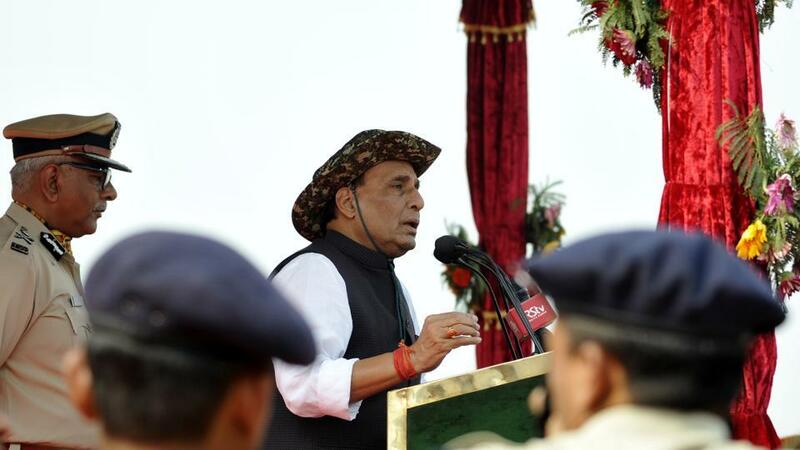 Home minister Rajnath Singh celebrated the New Year with Indo-Tibetan Border Police (ITBP) troops in Nelong (or Nilang) valley. It was Singh’s second visit to the Sino-Indian border area in Uttarakhand; in September, he had a 4-day tour of the region. Nelong Border Outpost (BoP), manned by the ITBP personnel, is located at the height of 11,700 feet. The home minister visited the ITBP’s 12th battalion headquarters in picturesque Matli, located at 3400 feet on the banks of Bhagirathi river. Later he was scheduled to visit Pulam Sumdha (altitude 14,200 feet), Kopang (8,700 feet) and Bhairon Ghati (9,150 feet). Accompanied by ITBP director general (DG) R K Pachnanda, Singh interacted with jawans and officers of the ITBP. The 90,000-personnel strong ITBP is guarding the 3,488 km long Sino-India border stretching from Jammu and Kashmir (1,597 km), Himachal Pradesh (200 km), Uttarakhand (345 km), Sikkim (220 km) to Arunachal Pradesh (1,126 km). A few years ago, I wrote about the history of the area. The introduction of my paper is posted below. The area is disputed by the Chinese because Beijing refuses to adhere to the universally-accepted principle of 'watershed' used to demarcate a border. In 2017, the incident at the trijunction Tibet-Sikkim-Bhutan was triggered by the same wrong views from Beijing. The watershed in the area is located at Tsangchok-la. In 2015, I had also mentioned the opening of the area to tourism. Yesterday, The Hindustan Times (HT) carried an article on Nilang (spelt Nelong) in Uttarakhand. It is not exactly true that the landscapes look like Ladakh, but the beauty of the place is indisputable. Not only did the entry to this ‘restricted area’ remain closed for civilians after the 1962 War, but the local Bhotiya population was shifted to Bagori and Dunda villages in Uttarkashi district. This year, the area has been opened to some privileged tourists. According to the HT, the reopening of Nilang valley has made the local population happy, as tourism could be a good source of income: “Prior to the war, trade with Tibet was the economic mainstay of the villagers in the valley. Few remnants of the trade route - the most prominent one being a narrow wooden bridge along the gorge - still remains intact. This valley could thus be highlighted as a heritage site,” a native of Nilang told the daily. The Government of Uttarakhand believes that the valley has a great potential; it can be developed into a special tourism destination, like Valley of Flowers in Chamoli district which attracts thousands of tourists and nature lovers every year. 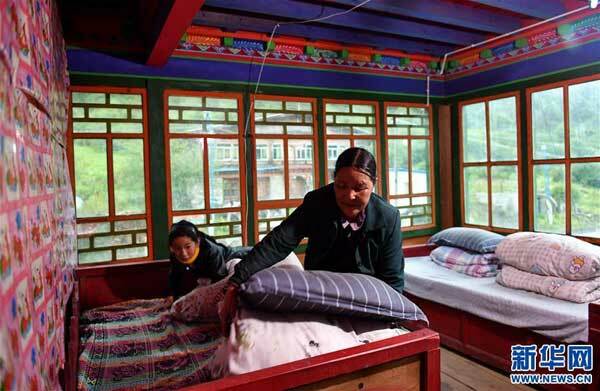 Soon after the 1962 War, locals Bhotiyas, living in Nilang during the summer and who for generations had been trading with Tibet, were resettled in Bagori and Dunda villages: “Prior to the war, trade with Tibet was the economic mainstay of the villagers in the valley. Few remnants of the trade route - the most prominent one being a narrow wooden bridge along the gorge - still remains intact. This valley could thus be highlighted as a heritage site,” said Jot Singh, a native of Nilang valley, now living in a nearby village. A few years ago, I researched the history of the area, which, in the early 1930s had been disputed by Tibet (later on, it was claimed by China). In fact, it is this dispute which forced the Government of India to reallocate the local population after 1962. I post here the introduction to my paper, as well as some extracts of the Report of the Officials of the Governments of India and the Peoples’ Republic of China on the Boundary Question, published by the Ministry of External Affairs, Government of India in 1961. There were a few such places claimed by Tibet, with any historical or geographical basis; later they became part of the Sino-Indian border dispute. It is a positive sign that the Government of Uttarakhand has not agreed to reopen this area. Hopefully, it will become a destination for eco-tourism only. Our case study relates to Nilang/Jadhang area in today’s Uttarakhand. It is particularly interesting due to the large amount of correspondence between Tibet (the Kashag in Lhasa and the Dzongpen in Tsaparang) and the princely states of Tehri-Garhwal, Bashahr as well as the provincial governments of the United Provinces and the Punjab and of course, the Foreign and Political Department of British India in Delhi. The ‘negotiations’ lasted some 12 years, at the end of which no mutually acceptable solution could be found. The entire story is extracted from a couple of files today in the British Archives. A few years ago, I had the good fortune to come across them and I thought it would be interesting to share this unknown aspect of the Himalayan relations. The area disputed by Tibet and Tehri-Garhwal State lies between longitude 78.53 and 79.25 East and latitude 31 and 31.26 North. The boundary between the Tehri-Garhwal state and Garhwal district of the United Provinces is shown in green. The boundary claimed by the Tehri-Garhwal State is shown in red. 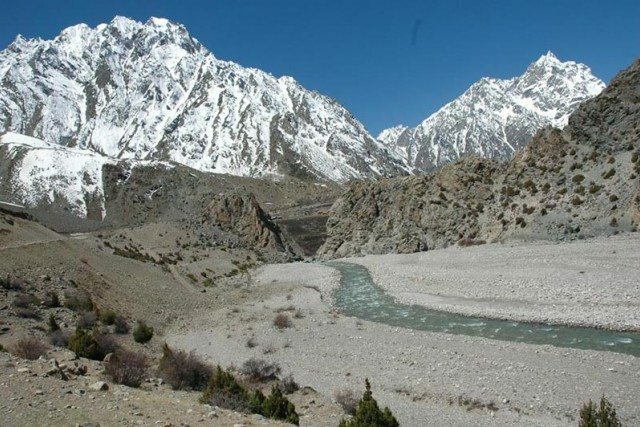 It is the watershed between the western sources of the Bhagirathi river and the valley of the Sutlej river, known in Tibet as Langchen Khabab. 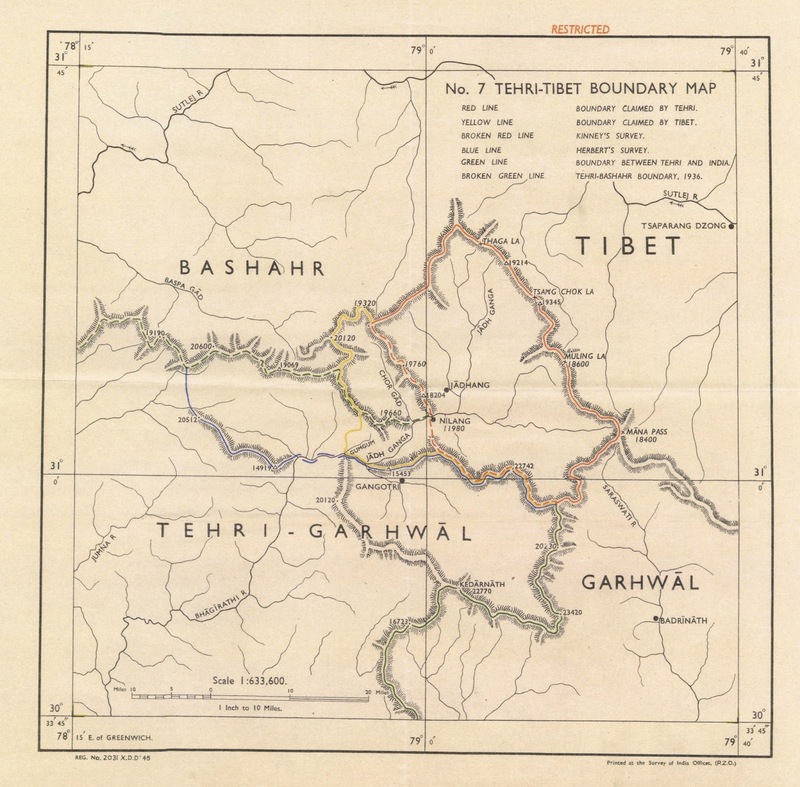 The boundary claimed by Tibet is shown in yellow; their frontier claim is unclear at several places as the Tibetan representatives often claimed ‘a single point as the boundary’, that is the junction of the Gumgum nala with the Bhagirathi (one mile West of Jangla Forest Bungalow). The dispute seems to have arisen when the Dzongpen of Tsaparang, the nearby Tibetan district, visited the Gumgum nala in 1914. He publically announced his decision of setting up a boundary pillar near the bridge. When the local villagers objected, the Dzongpen left without any further action. In 1918, the Tehri State decided to erect 3 pillars on the top of the Tsang Chok-la (31.30 North and 79.16 East). Some versions claimed that the pillars had already been there in the past and were only ‘repaired’. 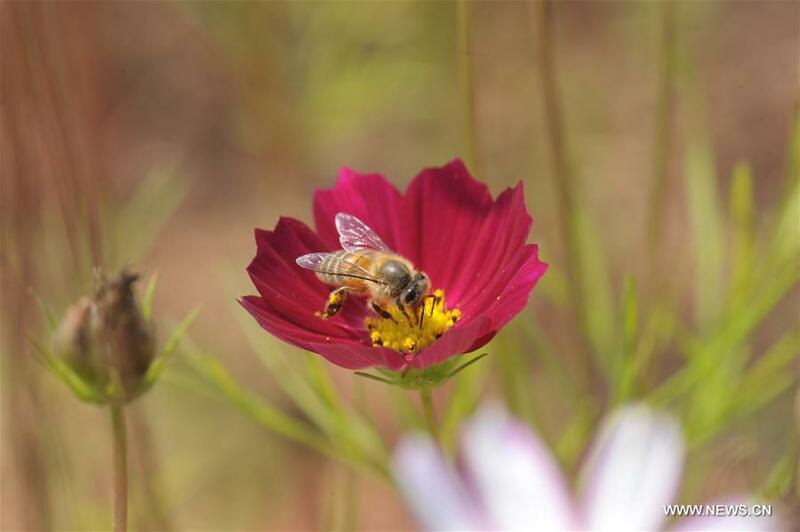 Two years later, the Tehri State surveyed the area and, for the first time, prepared cultivation maps of the Nilang region (31.7 North and 79.4 East). The Jadhang valley (31.11 North and 79.6 East) was also included in the maps. In 1921, the Tsaparang Dzongpen visited Nilang again. This time, he sent a letter to the Raja of Tehri requesting him to send an official to sort out the boundary issue; at that time, it was not yet considered a ‘dispute’; it was more a ‘difference of perceptions’ between neighbours. The Raja answered that the issue had to be raised through the Government of India as it involved a problem with two foreign governments. During the next warm season, the Dzongpen visited Nilang again and collected a tax of Rs.1 from the local people of Nilang and Jadhang. He thus collected a total of Rs 300. In 1924, it was finally proposed by British India to appoint a boundary Commission, but due to the poor communications and the fact that these areas could only be visited in summer, the Commission could meet only in the summer of 1926. Regarding Nilang-Jadhang, the Indian side produced a large amount of evidence to establish conclusively that this area had always been a part of India. The boundary alignment between India and Tibet in this sector had always been along the watershed range. …The Chinese side then referred to the discussions regarding the boundary in this sector between India and Tibet during the years 1921 to 1928. This, however, could in no way substantiate the Chinese claim. During these discussions the Tehri state had produced a variety of records going back to the 17th century to prove its ownership of the area; and the Tibetan side could produce only one book in which the trade dues paid by the villages of Nilang and Jadhang to the Dzongpon of Tsaparang, when they visited the Tibetan trade marts of Poling and Toling, were entered as taxes. 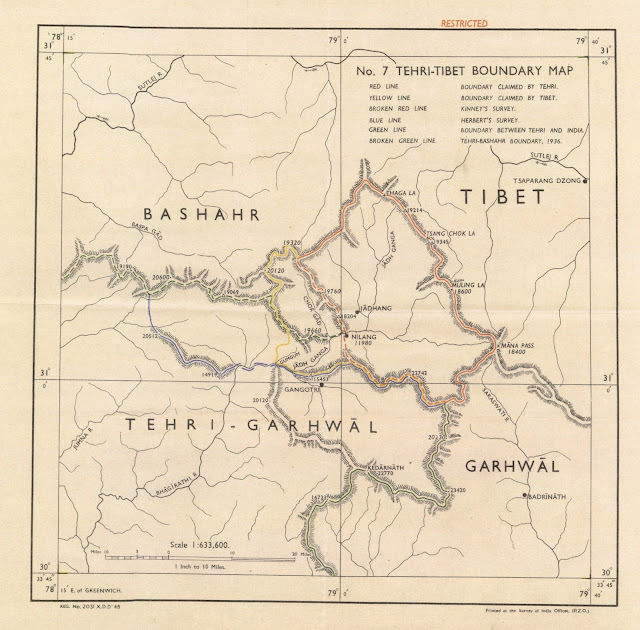 Again, while the Tehri representative gave a precise definition of the Tehri-Tibet boundary, the Tibetan representatives referred to only on point — Gum Gum or Gungoong bridge — on the alignment claimed by them and could not say how the line would run east and west of this point The compromise proposed at the time by colonel Bailey, and referred to by the Chinese side was offered not because Tehri's claim was weak but because the Government of India were anxious to settle a minor dispute lest it impair the prevailing friendly relations between India and Tibet. It was not, therefore, true to say that the then Indian Government coerced the local inhabitants in order to alter the existing boundary. Rather, it was the other way round. The people of Nilang and Jadhang, who during winter moved deeper south, in the summer, went to Tibet to trade. While in Tibet they were subjected to various vexatious dues and intimidated into declaring that they were subjects of Tibet and that the trade dues paid by them were land taxes. It was significant that the only documentary evidence brought forward by the Chinese side for this area were two 'avowals' alleged to have been made by the inhabitants in 1921 and 1927-i.e. after the commencement of the boundary dispute. It was such repeated coercion by the Tibetan authorities of the traders of Nilang and Jadhang that forced these villagers to cease going into Tibet for trade.